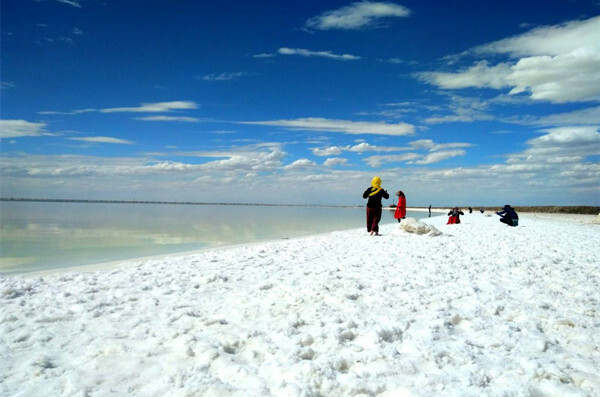 Qarhan Salt Lake,is the largest salt lake belonging to the Qaidam Basin, where located in the salt marshes of the Qaidam Basin near the Mongol-Tibetan prefecture city of Haixi in the northeastern part of Qinghai Province, and It is called China’s Salt Lake City. Qarhan Salt Lake is also the country’s largest salt lake and, in fact, is one of the most famous inland salt lakes in the world. Although the Qaidam Basin is a low-lying marsh, it is situated on the Qinghai-Tibetan Plateau at an altitude of 2670 meters. The lake, oriented on an east-west axis, is 160 kilometers in length and varies in width from 20-40 kilometers, while the lake’s depth varies from 20 meters to a mere 2 meters. • potassium, magnesium, lithium, boron and iodine. 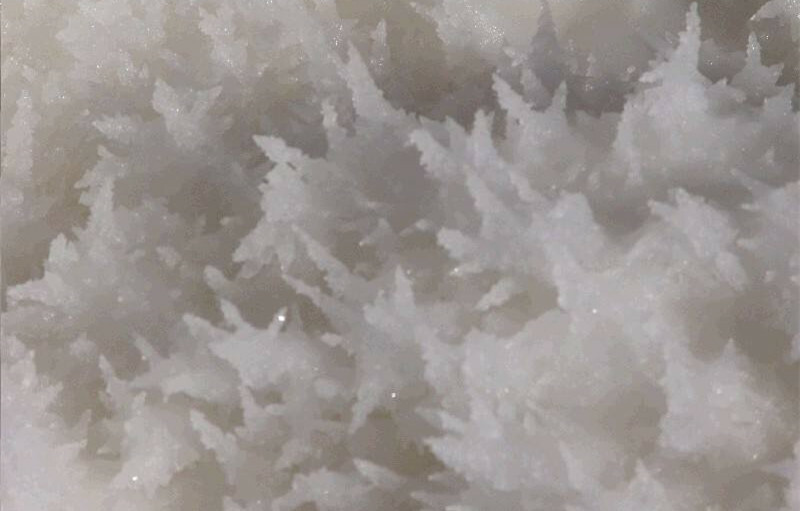 Not surprisingly, the area around Qarhan Salt Lake produces so-called pearl salt, a product dubbed the “King of Salt Lake”, a pure salt that is as white as driven snow, and glitters like jade. 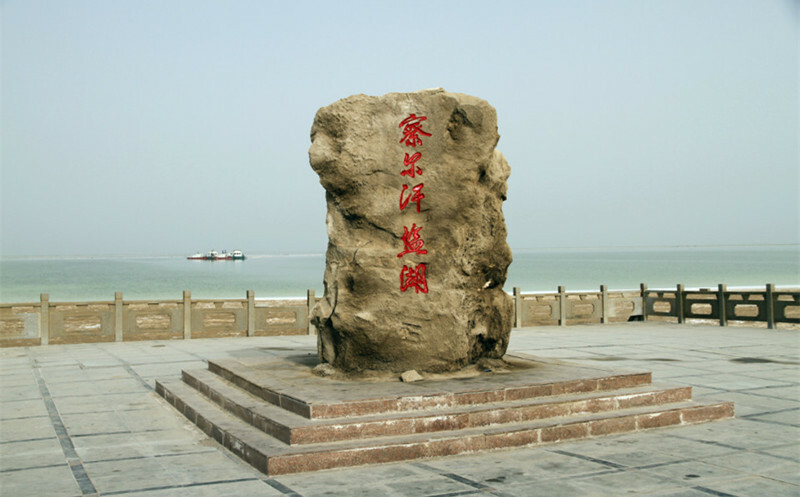 The Qarhan Salt Lake area is also home to the Qinghai Potassium Fertilizer Factory, which is located on the lakefront and is one of the largest suppliers of artificial fertilizers in the country, with an annual output of 1,000,000 tons. The word “Qarhan” is Mongolian, meaning “salt marsh”. Located in a hyper-arid basin that is extremely hot and dry, and with long days, the amount of evaporation from the lake far exceeds the amount of rainfall for a comparable water surface elsewhere. Indeed, Qaidam Basin is itself endorheic, with no inflow of water from the outside except for runoff surface water that accumulates in the marsh and its lakes. 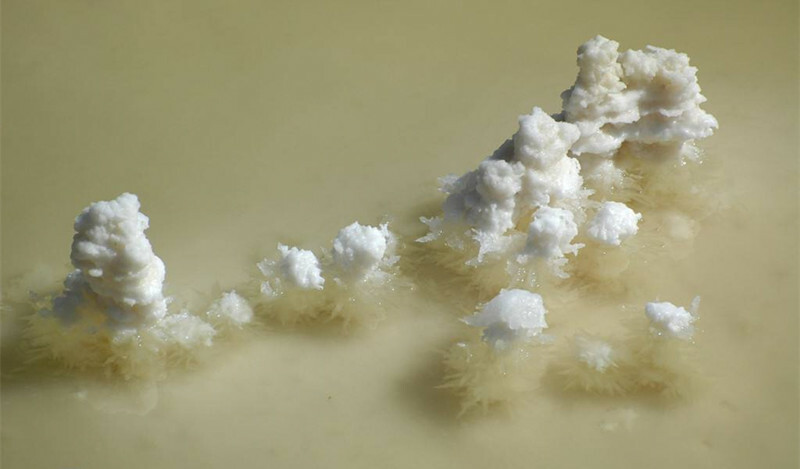 The lakes have therefore shrunk over time, and this shrinkage is also due partly to the lakes’ (marshes’) briny water which crystallizes into salt under the searing heat, leaving a hard, sloped rim in the form of a salt bed that rings the present-day lakes, including Qarhan Salt Lake. Though the terrain surrounding Qarhan Salt Lake is flat and desolate, the landscape is nevertheless interesting and unique. The lake itself, though devoid of fish, is home to a few special plants that grow in abundance here. For example, there is a species of flowering plant here that produce flowers in various suggestive shapes such as corals, gems, pagodas and even shapes reminiscent of certain constellations in the night sky. On a clear, calm, sunny day, the sun’s reflection on the placid lake brings to mind the image of a mirror, and on days when the wind blows, the lake seems to be alive with dancing reflections that glisten with the heaving movements of the lake, creating a mirage that will fool you into believing that you are gazing at an ocean instead of a lake. The beauty of the lake at such times, enhanced by the salt flowers – known locally as “the blue flowers” – is truly compelling. 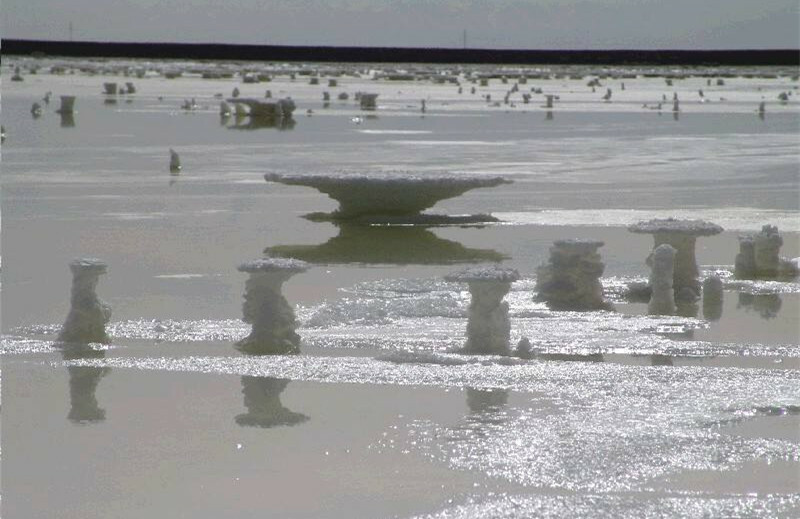 The best time to visit Qarhan Salt Lake is from spring to autumn, i.e., from April to October. You can arrive at the lake by a regional bus, while there is a special, small train which runs around the lake, offering splendid views of the marsh in general and of the lake in particular. You can take at minimum recommended time ½ day for visiting.